That should work out at ten sessions each term. These dates have been copied to the Programmes page and will be updated if required. This entry was posted in Committee Notes, Programmes on March 15, 2018 by Andie. 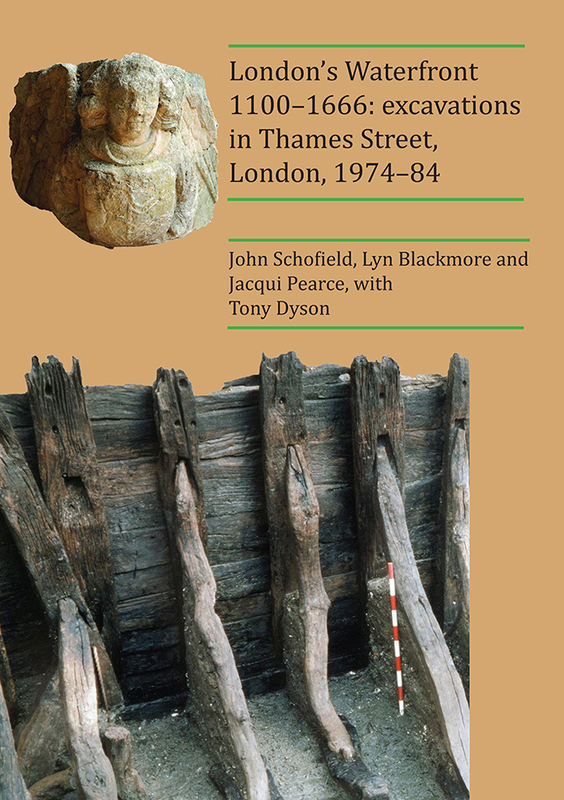 For anyone interested, the most recent Archaeopress newsletter announced the forthcoming title: “London’s Waterfront 1100–1666: excavations in Thames Street, London, 1974–84” by John Schofield, Lyn Blackmore and Jacqui Pearce, with Tony Dyson. Hardback; xxiv+514 pages; illustrated throughout in colour and black & white (132 colour plates). English text with summaries in French and German. 422 2018. ISBN 9781784918378. The book presents and celebrates the mile-long Thames Street in the City of London and the land south of it to the River Thames as an archaeological asset. The argument is based on the reporting of four excavations of 1974–84 by the Museum of London near the north end of London Bridge: Swan Lane, Seal House, New Fresh Wharf and Billingsgate Lorry Park. Here the findings of the period 1100–1666 are presented. This entry was posted in Books, News on March 15, 2018 by Andie. Each of the Tudor monarchs took some actions which impacted on the development of the port of London and the docks further downstream. However, it was during the reigns of Henry VIII and Elizabeth I that there is evidence of the greatest activity. Henry VII did much to encourage the development of the merchant fleet, establishing the first permanent navy, and using a small dockyard at Deptford for repairs. 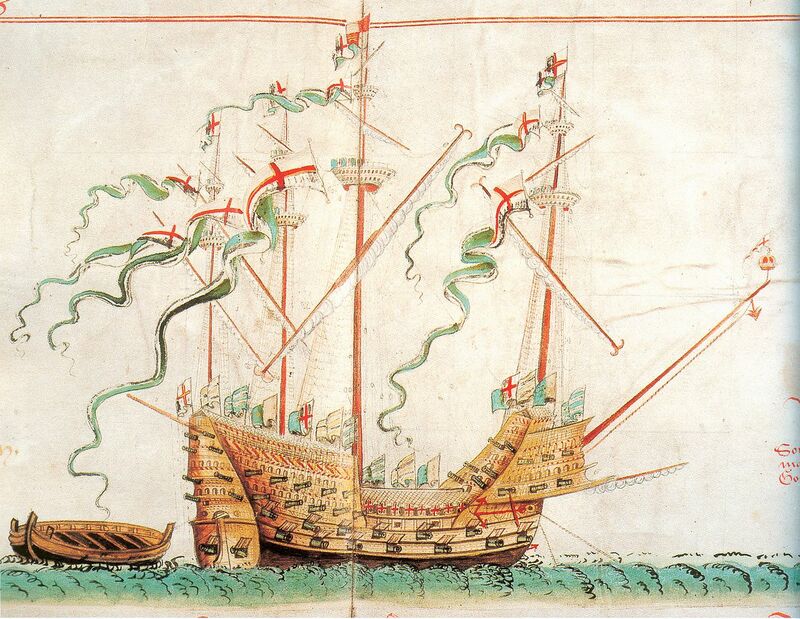 Throughout the Tudor period it is difficult to provide accurate information about numbers of ships in the navy, as merchants were expected to put their ships into service at times of war and numbers often include these ships, along with captured ships which were then put into service. Henry VIII ordered construction at Deptford and Woolwich dockyards so that he could construct warships close to his home in Greenwich. These sites were easier to defend than coastal ports. Ships such as the Henry Grace a Dieu, better known as the Great Harry were built at Woolwich. Ships built elsewhere were fitted out at these docks e.g the Mary Rose. Changes in construction of ships, allowing for larger and stronger ships and bigger guns, required more manpower both in builders and crew. There was also an increase in associated trades which proved useful for merchant shipping as well as the navy. We have information from The Anthony Roll (1546). Anthony Anthony – an official at the Tower – recorded all the ships in the Navy. While the drawings are thought not to be particularly accurate, the roll also included information such as armaments and crew. The roll – actually 3 rolls – was presented to the King and placed in the Royal archives. Charles II gave two rolls to Samuel Pepys who was intending to write a history of the navy. At the time the third roll could not be found. Pepys had the documents cut and placed in book form – now in the Pepys library. The third roll was later found and eventually made its way to the British Library. 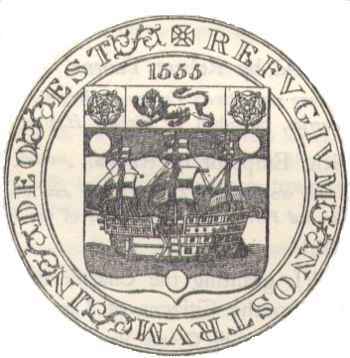 Henry’s reign also saw the inception of Trinity House in 1514. This was set up to provide safe piloting of ships in the Thames by experienced English pilots, and followed a number of occasions on which ships ran aground. The reign of Edward VI saw interest turn to increased trade and its potential for raising revenue. The number of taxable goods was increased as were the rates of tax. There was also a desire to find new markets and in 1553 an attempt to find a northeast passage led to a contact and eventual trade agreement with Russia. Queen Mary I gave a charter to the Muscovy or Russian Company, and also ordered a further survey of ports and goods. During the reign of Elizabeth, the Lord Treasurer (William Paulet), further developed the system of taxation. In 1558 a revised book of rates was issued, adding another 300 commodities to the list and doubling duties. This highlighted a need for more effective administration to prevent smuggling to avoid tax. A commission surveyed the port and in 1559 parliament established legal quays which were the only places where taxable goods could be landed. The list was revised in 1584. Alongside these was a system for recording and checking cargoes, with each being recorded by 2 officials- to make corruption more difficult. This information was recorded in Port Books, of which a few survive. During these years, trade continued to expand, with the setting up of a number of companies such as the Levant, Barbary and East India Companies. At the same time, there was a development in exploration – and of privateering! Drake – who made a fortune from the latter – was knighted at Deptford and the Golden Hind went on permanent display at the dock. The docks continued shipbuilding, for example, the Ark Royal – flagship of the Armada – was built at Deptford in 1587. This entry was posted in All, Presentation summaries on March 12, 2018 by Andie. 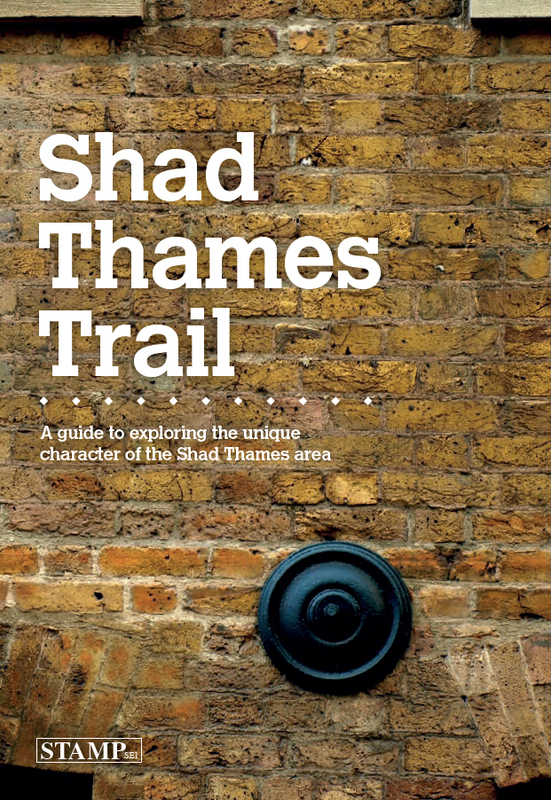 There are other trails in the series too (Bermondsey Street, London Bridge West, and London Bridge East), available from a different website at http://www.bermondseyvillage.org.uk/trail-guides.html. They all look like an excellent way to spend a couple of hours one dry day. This entry was posted in All, Guided walks, Novelty items on March 1, 2018 by Andie. Hay’s Wharf is located in the Pool of London based around a tidal creek. It was the oldest and most successful of all the general wharves. From the 11th century, the site of Hay’s Wharf was the town house of the Abbot of Battle (Sussex). The house was called the Inn of Bataille and had its own private quay. Tooley Street was a route of pilgrimage to Bermondsey Abbey; crossing various fish-filled streams and fronted by a whole series of large church palaces, as well as the riverside town houses of the church dignitaries. Following the dissolution of the monasteries the area was turned into warehouses and in 1651 Alexander Hay took over the lease of a brew house (Goldings) by London Bridge and set up as a brewer and wharfinger. In 1710 the wharf was officially named Hay’s Wharf. In the early eighteenth century the Admiralty leased some of the land as an Ordnance Depot and erected a shot tower for the manufacture of gun shot. The wharf was later used as a refuge for German Protestants escaping persecution. Francis Theodore Hay, the last Hay family proprietor, saw no future in wharfingering at London Bridge due to overcrowding and by 1796 most of the warehouses were leased by W. Humphrey & Son, established wharfingers to the west of London Bridge. In 1840 the wharf came under the control of John Humphrey Junior, an Alderman for the City of London, Master of the Tallow Chandler’s Company, Lord Mayor of London in 1842, MP for Southwark 1832-52 and proprietor of Hay’s wharf from 1838 – 1862. In 1856 he commissioned William Cubitt to design and build new warehouse accommodation. He created a small inland dock so barges could gain access from the river, with a five storey warehouse on each side of the new dock. Business was good, until the Great Fire of Tooley Street in 1861. 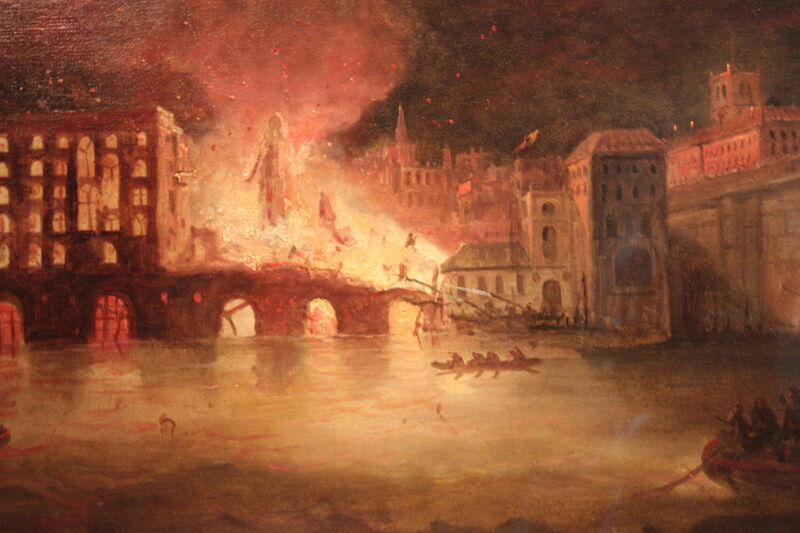 Described as ‘the greatest spectacle since the Great Fire of 1666’, it destroyed the “best warehouses in the kingdom”. The fire started at Cotton’s Wharf, destroying 11 acres of land. London Bridge railway station also caught fire in the blaze. Most of the wharves were rebuilt in the late 1800s as a result of Humphrey’s partnership with Smith and Magniac (whose company later became Jardine Matheson). In 1867 the Hay’s Wharf company was founded, which acquired more wharves and warehouses: the Gun & Shot wharf was the only wharf between London Bridge and Tower Bridge that was not swallowed up by the Hay’s Wharf company. With the arrival of tea clippers from China and India, Hay’s Wharf became the leading handler of tea in the Port of London. Cottons Wharf was converted into the first commercial cold storage warehouse in Britain, handling shipments from Australia, New Zealand, Poland, Denmark and Holland. Bermondsey became known as the ‘larder of London’ because of its enormous trade in foodstuffs: mainly dairy and meat products and tea and coffee. Up to three-quarters of all London’s imported food passed through the company’s wharves. 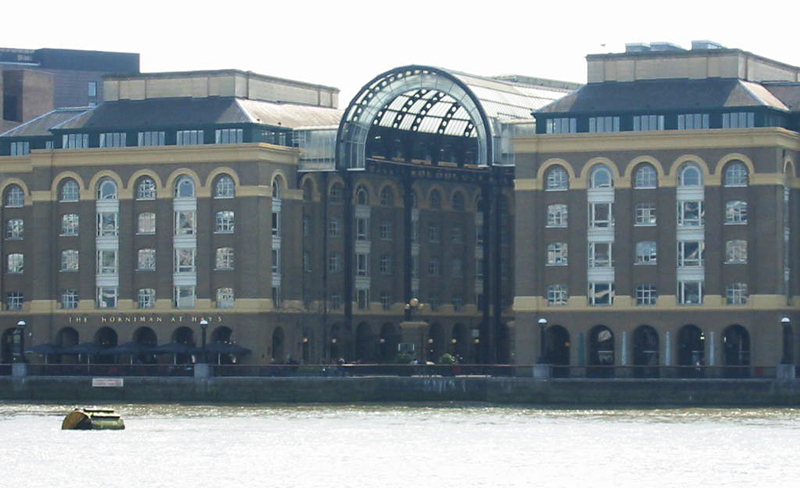 The company commissioned a new headquarters, Olaf House, and the first private telephone line in London was erected between the Tooley St wharf and its city office on the north bank of the river. The wharves were heavily bombed during World War II but recovered: by 1960 the company handled 2 million tons of foodstuffs and had 11 cold and cool air stores, as well as many subsidiary companies providing ancillary services: lighterage, barge building and repair, bottling of wines and spirits, transport and shipping and forwarding. However, a bitter labour dispute with the dockers and a change in trading patterns and containerization, with docks at Tilbury and Felixstowe, affected all the London docks and associated industries. The Hay’s Wharf company set up cold storage in Dagenham in 1968 and announced the closure of the wharves in Bermondsey in 1969. Hays Wharf as it is today. St Martin’s Property Group, owned by the sovereign state wealth fund of Kuwait, acquired the property assets in the early 1980s. London Bridge Hospital took over the Chamberlain’s Wharf Building and St Olaf’s House. 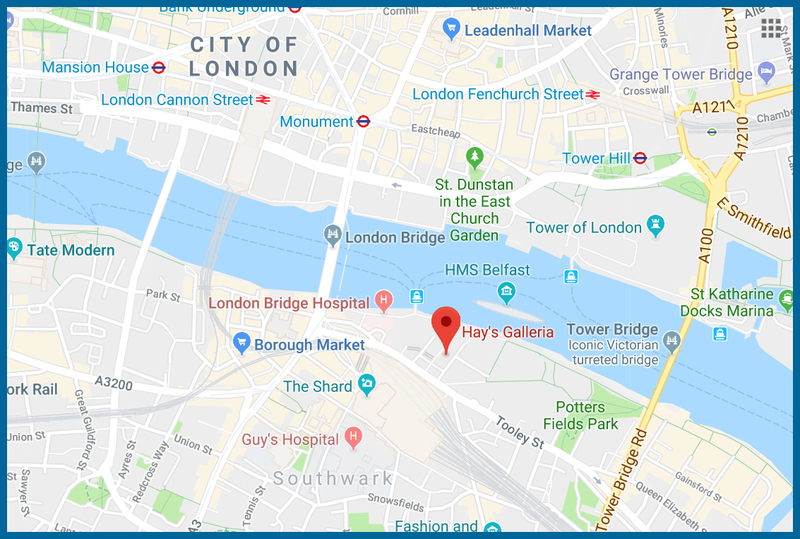 The dock was mostly filled in and paved over and a glass barrel vault installed to join the two warehouse buildings at roof level to create an atrium, for shops and offices, known as Hay’s Galleria. Warehouses were restored to include five interlinking buildings; Goldings, Counting, Shackleton, Tea Auction and Hay’s Lane. It is a Grade II listed structure. This entry was posted in All, Presentation summaries on February 16, 2018 by Andie. PLSG’s second presentation from Fran Bulwer on 12th February was the life and work of Ada Salter (1866-1942). Her achievements as Bermondsey’s own ‘ethical socialist’ campaigner, councillor, Mayor and London County Council (L.C.C.) member have recently been reassessed in a book by Graham Taylor after being considered slightly secondary to those of her equally remarkable G.P. and M.P. husband, Dr Alfred Salter (1873-1945). Ada Salter grew up in a prosperous Northamptonshire Methodist family and was encouraged through her family and education to be active in the community. She came to London to work in the West London Mission, where she worked among the poorest and most vulnerable girls and women in central London, before moving to the Bermondsey Settlement in 1897 to set up girls’ clubs, with great success. Here she met a young doctor, Alfred Salter, whom she married in 1900. As a couple they devoted the rest of their lives for over 40 years to improving the lives of the people of Bermondsey through their positions on the borough council, as Mayor and member of the L.C.C. and through a cooperative GP surgery and as M.P. for West Bermondsey. The death of their only child Joyce of scarlet fever, aged 8 in 1910, was a terrible blow and test of their Christian faith. Ada’s achievements were hard won and remarkable. 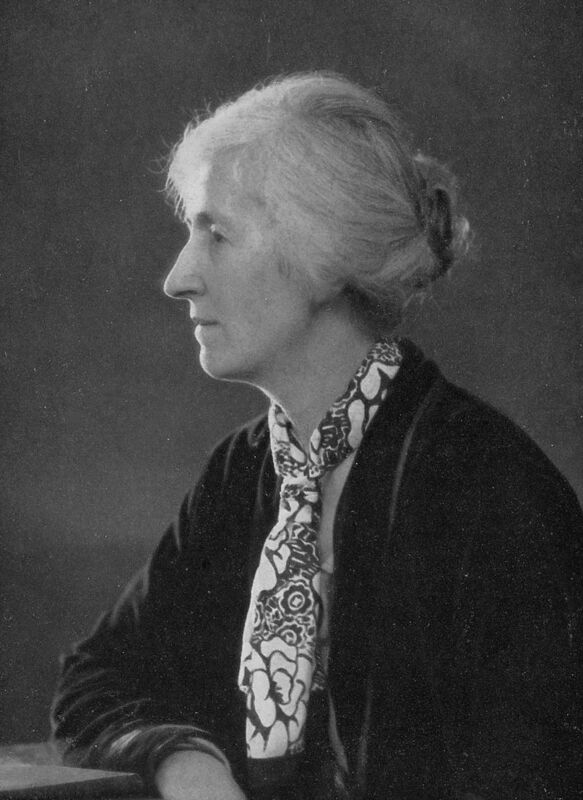 She campaigned through the Women’s Labour League for trade union representation for women workers in local industries, notably the jam factories, supporting their children and families during different strikes, keen to improve not only their working conditions and pay, but also to provide support for their children and families with child and healthcare and to improve the environment in which they lived and their housing. She was also a committed suffragist. 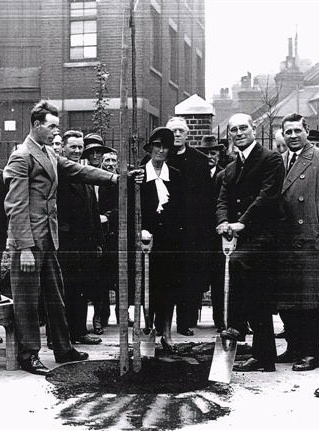 Ada’s ‘beautification’ of Bermondsey – the planting of trees along 70 miles of streets, beautiful flower beds in every available open space and encouraging local people to plant their own window boxes and hanging baskets became famous nationally. Apart from this, she pushed for an ambitious slum-clearance programme for Bermondsey whose greatest success was the 53 houses of Wilson Grove, a mini-garden city next to the docks, still there today. Money restrictions in the 1930s limited further such developments but housing improvements made by the Council were significant with Wilson Grove becoming a much-admired model nationally and beyond. With Alfred’s medical position and Ada’s organizational skills, health was also a high priority in an area with many problems. Clinics to combat tuberculosis (T.B. ), including a revolutionary solarium for T.B. sufferers, sanatorium and convalescent facilities out at Fairby Grange in Kent, ante-natal, neo-natal and child health clinics resulted in dramatic improvements in the health of the local people. They were also responsible for building Britain’s first integrated health clinic in Grange Road, still an NHS health centre today. Nearby public baths also provided state of the art washing, bathing, swimming and laundry facilities while a fleet of ‘cinemotors’ went round Bermondsey to give slide and film shows about cleanliness and good health. 16 of these locally made films have survived and are at the Wellcome Foundation, a reminder of how seriously the Salters and their team considered public education to be. As life-long pacifists, Ada and Alfred campaigned hard against the First World War and were devastated by the outbreak of the Second World War, which they had fought equally hard to prevent. Bermondsey was particularly badly hit by German air-raids on the docks and all Ada’s beautification projects soon lay in ruins, while her home in Storks Rd was also badly damaged by a bomb. She died in 1942 and Alfred in 1945. 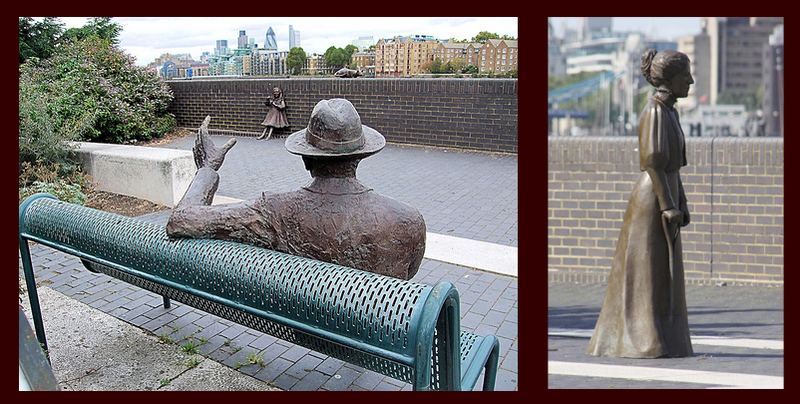 A group of statues on the riverside near Ada’s fist Bermondsey flat was completed in 2014 by adding Ada holding a spade and flowers to that of her husband, daughter Joyce and their cat. It is a tribute to a couple who worked tirelessly for Bermondsey and whose achievements prefigured the NHS and Green movement. This entry was posted in All, Presentation summaries on February 13, 2018 by Andie. Tate & Lyle are the last great industrial employers at Silvertown. The refinery dominates the view and the landscape from the DLR. It still appears to be a flourishing industry in a post – industrial landscape now ripe for redevelopment. It was in fact one of the first factories to locate to the new Silvertown site in 1878. Henry Tate acquired a derelict shipyard there in 1874-5. This was about 25 years after Samuel Winkworth Silver first opened his rubber factory nearby, giving his name to an emerging industrial hinterland, newly served by railways as well as the River. This large area of marshland was to prove an attractive site for many new industrial processes. 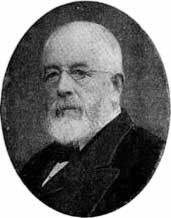 Henry Tate (1819-1899) had bought the British rights to Eugen Langen’s sugar cube manufacturing process in 1875 – a process which was to revolutionise the sugar market – and he was keen to acquire a suitable site to exploit this and a ready market in which to sell it. A new base on the edge of London proved to be ideal. Tate was an entrepreneur and a risk taker – an enlightened employer, by the standards of the time, and a philanthropist. He was to make a fortune with the new and revolutionary process. Gone were the old and cumbersome sugar loaves; here at last was hygienically packaged and accessible quantities of sugar for everyone’s convenience and use. Tate was born in Chorley, Lancashire, the eleventh child of a Unitarian minister. He was apprenticed to his eldest brother Caleb, who owned a grocery business, at the age of 13 years but acquired his own grocery shop in Liverpool with Aaron Wedgewood in 1839. Henry focused on the sale of tea and by 1855 had six shops. His partnership with a Liverpool sugar refiner led him to sell the shops and the wholesale tea business he had built up. By 1869, he had bought out the partnership too and his two sons entered the business, which was subsequently renamed Henry Tate & Sons. Henry Tate & Sons acquired the rights to a new French sugar purification process in 1872, giving the firm serious advantages of scale over competitors. A new refinery at Love Lane, Liverpool produced 1000 tons of sugar each week and employed 400 people. The old small scale, inefficient and unhygienic refineries that had operated in the East End of London and the City were seriously outmoded. Enter his competitor and, finally, the other half of the business……. At the other end of what was to become known as “The Sugar Mile”, Abram Lyle from Greenock arrived to purchase Plaistow Wharf in 1883. Formerly a cooper and a shipwright, Lyle had interests in shipping sugar and finally added a sugar refining business to his interests. His own special product, known originally as “Goldie”, had been a waste product of the refining process sold at first only to his employees. Lyle’s Golden Syrup, however, reached a mass market and was a huge success. Over one million tons are still produced each month today. It’s iconic branding – personally developed and approved by Abram Lyle with its biblical reference – is Britain’s oldest brand. Like Tate, Lyle was an enlightened employer and philanthropist. The two firms were rivals; their amalgamation came in 1921 after World War 1 and with the threat of European competition from the newly exploited and large scale developing sugar beet industry. Cane sugar products from around the World had to compete. This entry was posted in All, Presentation summaries on February 12, 2018 by Andie.